The Geological-Palaeontological Collection is the largest of three parts of the Earth Science Collections at ETH Zurich, Switzerland and contains more than 500,000 specimens. Highlights include Oswald Heer’s Oehningen fossil insect and plant collections, Alphonse Jeannet’s ammonite collection from the iron oolite in the Herznach Formation, and Louis Agassiz’ fossil fish collection. 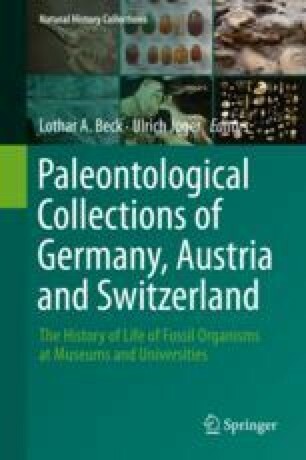 The Geological-Palaeontological Collection is an important resource for interdisciplinary research both past and present; an essential tool for student education at ETH Zurich; and a source of popular exhibits for public outreach through tours and displays. Importantly, a significant portion of the collection has been digitised and is available online. We thank Wibke Kolbmann and Stefan Wiederkehr for their constructive inputs and comments, which improved the manuscript. Special thanks also to Milena Pika-Biolzi for her excellent job as previous curator.